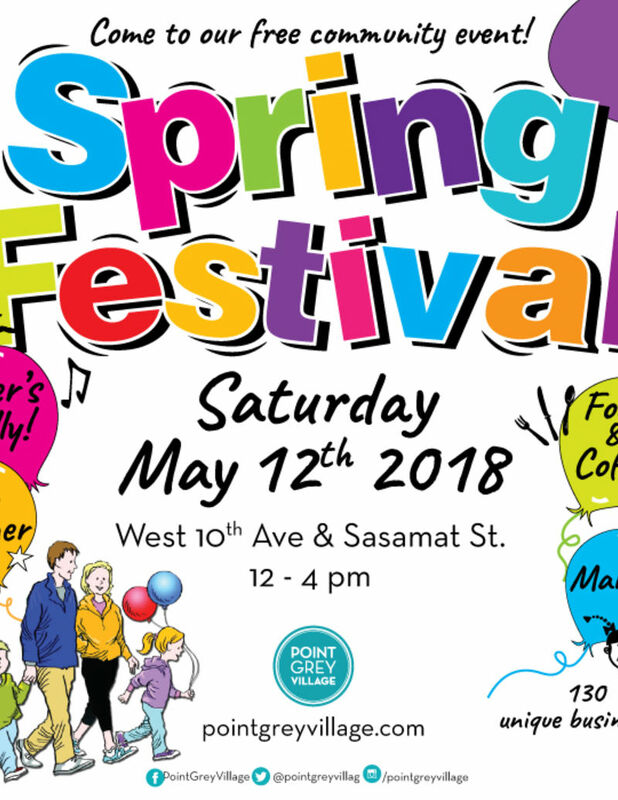 Join us for our Annual Spring Festival in Point Grey Village on Saturday, May 12th, 12-4pm. Find us on West 10th Avenue & Sasamat Street. You can expect an afternoon of live music, drinks, treats, henna tattoos, food trucks, market exhibitions, magic shows, martial arts performances, and kids entertainment.